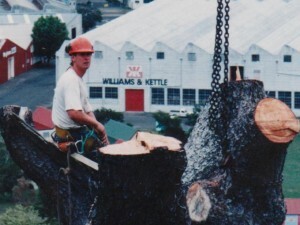 Looking for professional tree care? 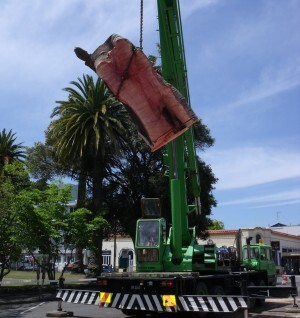 We’ve got the machinery and the personnel to complete all tree services, throughout Napier, Hastings and the whole Bay. Just get in touch to find out more about any of these services. On time and within budget, guaranteed. We deliver exactly what you want. How can we promise that? We believe fantastic communication is the key to giving you the results you really want. So we take the time to listen to you and understand what’s required. We’ll come round and give you a free consultation. We’ll listen to your needs and give you a quote. If you accept our quote, we’ll book you in and get the job completed. We put all of our experience, abilities and equipment into delivering you a first class result. When necessary we can also project manage and implement entire landscape developments. We’re in high demand as we work with the regional and local councils as well as with commercial businesses throughout Hawkes Bay. But we also take care of residential tree work. Communication and good management mean we can satisfy our client’s requirements. Our machinery enables us to complete jobs of any size, quickly and efficiently. 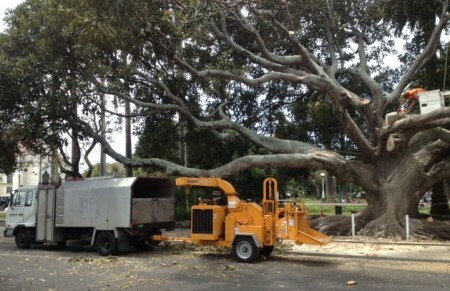 We have a fleet of specialised arborist machinery. Our 20 metre bucket truck has the highest reach in the Bay, and means we can work quicker and safer than anyone else. We have three truck and chipper units, so we can efficiently remove any amount of rubbish. 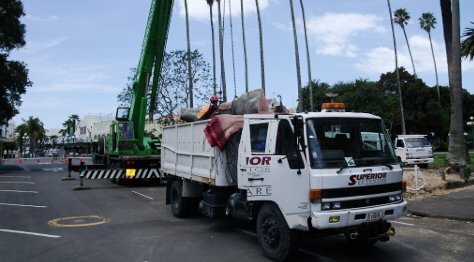 We also have two large tip trucks and an eight ton excavator, which means we can remove large quantities of heavy wood. Our business was established fifteen years ago by myself, Jonathan Doyle (you’ll speak to me when you call). I’m a qualified arborist, trained in New Zealand and the UK. Our friendly team includes three qualified arborists, apprentice, and ground staff with qualified STMS traffic controller and East Coast Council certified traffic controllers. We want you to sleep safely knowing you’re not in danger from your trees (or the process of pruning them!). Comprehensive public liability insurance of three million dollars is held by our company and proudly we have never had a claim!